The development of a novel four-dimensional lung scanning platform has shown potential to transform treatment for millions of people with lung disease across the globe. The 4Dx pre-clinical scanner produces high-resolution images of the lung-tissue motion and airflow throughout the lungs, which allows professionals to view and measure abnormal function in specific areas of the lung, before a disease progresses and spreads. Using this technology, clinicians will have a clearer image of what is happening in the patient's lungs. Also the changes in lung and its function will be detected early. This will allow clinicians to quantify the effects of treatment by simply comparing measurements from one scan to the next. The tools available till now need two or three pieces of diagnostic information to piece together what is happening in someone's lungs. This newly developed advance diagnostic tool offers images of the breathing lungs, making it possible to see what is really important and how the lung is working. 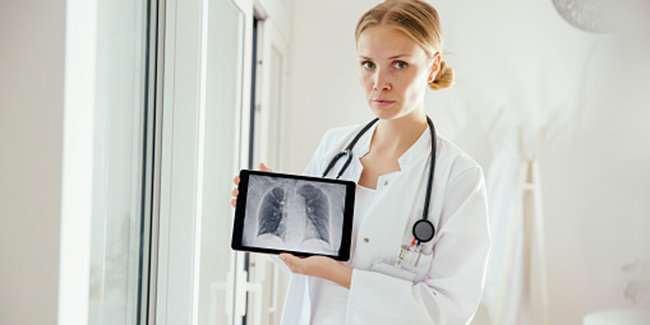 This technology has great impending as a new tool for both early diagnosis and management of very common lung conditions. This will lead to the start of a new way of thinking about diagnostic imaging. What are the Types of Lung Diseases?